It’s already a quarter of the way through the new year, and we want to bring you our Top 5 Digital Marketing Experts of 2019. In our humble opinion we have chosen the right individuals that we believe if you follow their advice, information and proven success models will give you an edge in your business. These individuals are at the top of their game having created multi-million dollar businesses and helped hundreds of businesses/corporations and high profile clients generate success. They’re digital marketing experts that come around once in a lifetime, we follow them and believe you should too. Neil Patel is best known as the founder of Crazy Egg, Quick Sprout, and KISSMetrics. 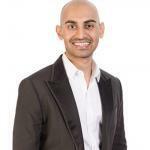 As web analytics, marketing and conversion expert and entrepreneur, Patel is also a regular contributor for publications such as Inc., Fast Company, Forbes, Entrepreneur.com and TechCrunch. When it comes to SEO, Traffic, and conversion Neil Patel is at the top of his game. An avid blogger, Neil is one of the very few digital marketing experts that give away a lot of information on his blog for FREE that others charge thousands for. The reason Neil is number in our list is that he’s an absolute Genius in SEO, Conversions, and Traffic, the three core areas that matter the most when it comes to digital marketing and it’s this reason why Neil is sort after by fortune 500 companies. Neil is one of those rare individuals that come along once in a lifetime. 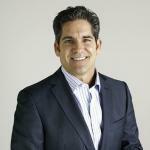 Grant Cardone is best known for being the Godfather of sales, New York Times bestseller and founder of the number 1 sales university on the planet, Grant Cardone Sales University. Grant has helped fortune 500 companies like Google, Sprint, Aflac, Toyota, GM, Ford, Morgan Stanley, and thousands more increase their sales. Now you’re probably wondering what does a salesman have to do with being a digital marketing expert, well when it comes to dominating Social Media Grant is the man and is currently ranked number 1 on Meerkat. Grant knows how to utilize Social Media to its full extent than any other digital marketing individual on this list and it’s his dominance on social media which has to produce incredible brand awareness for his company and his name. Just a few years ago Grant had a small social following and has now 10x that in such a short space of time across multiple social platforms including Facebook, Twitter, Meerkat, LinkedIn, YouTube and Periscope. Grant recognized where his new audience was, so by providing unbelievable value and being incredibly loud on social media has skyrocketed Grant from just being known by companies to now being known by people all across the globe. If you want to take your social media to the next level then follow Grant Cardone, oh you might learn a thing or two about sales as well. Russell Brunson is a conversion optimization genius and founder of Dot Com Secrets and CEO of Click Funnels. Russell always had a fascination for Ads and started collecting Ads in the paper at a very young age. It wasn’t the ads that fascinated Russell, it was the process involved. Russel would acquire a lot of free offers and before he knew it his room was full of junk, but to Russell, it wasn’t junked it was important information on how to create a converting sales process that leads a person from a FREE offer to the endpoint of the eventual sale. The internet becomes the Golden egg for Russell because now he had the opportunity to tap into the endless traffic it provides and directs that through a sales funnel. 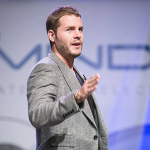 Russell has sold everything from weight-loss, cars, books, gym equipment you name it he has sold it all, which has made Russell a multi-millionaire because of his ability to create a converting sales funnel that not only capture leads but more importantly generated sales. It’s this ability which has lead Russell to coaching large businesses and developing them a sales process for the internet to help grow their business, oh his Click Funnels tool also makes it easier for all of us, so go check it out. 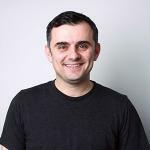 Gary Vaynerchuk is a hustler, a pioneer in digital marketing and CEO of VaynerMedia, an agency that specializes in social media marketing and branding. Vaynerchuk like Grant Cardone is loud and outspoken and not afraid to go against the grain and it’s this attitude that has enabled Gary to build a successful business. Vaynerchuk describes social media as a cocktail party, where brands must be a part of the conversations that people have. Gary not online provides incredible through his social media about well, you know social media, but also provides incredible business advice for today’s’ Entrepreneurs. Alex Becker is a tech entrepreneur known most for founding the multi-million dollar SEO software company Source Wave, as well as other tech brands in the marketing automation space. Alex is aanSEO genius and will implement strategies that others wouldn’t think off and will go after niches that others wouldn’t deem unprofitable and come out on top. 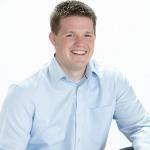 When it comes to SEO Alex knows how to leverage it to make money but more importantly, help others make money. Alex brings a unique approach to SEO unlike Neil Patel and focuses on keeping things simple and it’s this approach which has enabled him to make millions and speak in front of audiences all across the globe. All of them are successful because they own at least one high authority website and can promote any website through that website. I agree. But these experts have invested serious time in not only their website but also developing brand-awareness and generating high quality traffic. Having an authoritative website doesn’t happen over night. These gentlemen are highly intelligent and have a fantastic team behind them and have spent years perfecting their craft.